Thank you for choosing The Veranda for your special function. We are able to assist you in every possible way to insure that your event will be festive and successful. Add filet of beef for additional $10. The Veranda is located in Kingwood, Texas, just a few miles north of Bush International Airport. 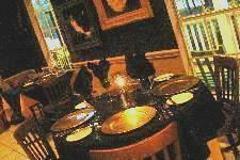 It is the perfect location for business or social events. The pleasant, contemporary ambience is conducive to dining satisfaction. The Veranda private dining room is available for groups up to 50 guests with audio/visual capabilities. The entire building is readily available most days or evenings for parties up to 80 guests. We offer fine dining cuisine in the American Continental style. We provide a wine and beer service. Special wines can be ordered in advance. Pat and Ray can also provide photography of your group, individuals or couples. The Veranda food charge schedule does not include beverage, tax or gratuity. All charges are subject to applicable state sales tax (8.25%) and 20% gratuity. 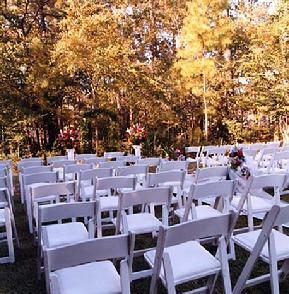 A reservation deposit of $200.00 is required for all functions. The deposit will be refunded by The Veranda if written notice of cancellation is received by The Veranda at least 60 days prior to the date of the event. Cancellation of a contract must be made in writing to the restaurant manager, and must be acknowledged by him. Otherwise, the Patron remains responsible for the contract and there will be no refund of the deposit. Notification to The Veranda manager of the guaranteed number of persons attending the event, no later than seventy-two hours prior to the event, is essential. The Patron shall be charged for guaranteed number of guests.